First of all, I want to apologize to all of you that read and follow this blog post. 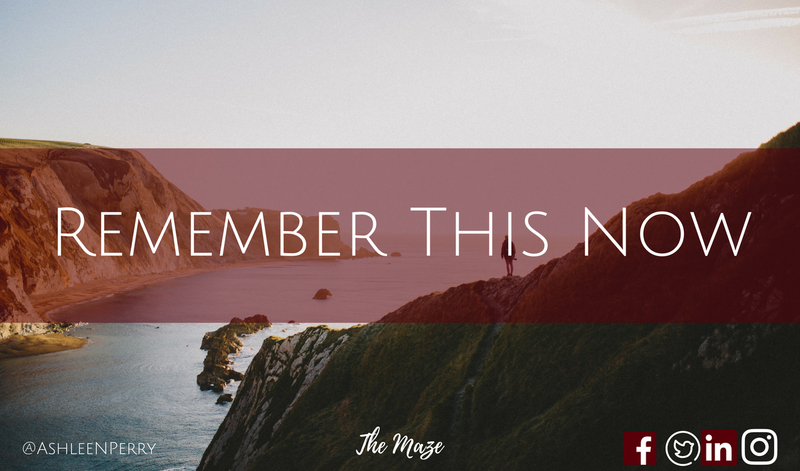 It's been over a month since I've published a blog post, and unfortunately, I haven't had any recent guest writer submissions lately. With being busy at work, having new demands and challenges daily, I've been almost completely stretched thin, and for that and not being able to fulfill a promise I had made to myself and you all, I am truly and sincerely sorry for not fully meeting this promise. I'll try my hardest not to have it happen again! And with that being said, below is the post! When I was younger, my parents would tell me stories of things they've learned over time - how to treat others with respect, how guys should treat you on a date, how to be yourself without compromising your beliefs, and how to hold your tongue (I'm still learning this one). The countless stories my parents would tell my brother and I, even repeatedly, seemed to be never ending, but ultimately their wisdom and dependence on God's guidance has shaped me to be what I am today. Just recently, I taught at my church's Vacation Bible School - ages nine to twelve years old. I had previously taught that age group before for Vacation Bible School, so I felt pretty good entering in this year to teach. If I thought things were going to go smoothly, I was completely wrong! From work and personal demands, I barely had enough time to prepare my lessons. God's wisdom prepares and sustains us during our most difficult and trying seasons in life, and I've had to greatly depend on Him in the past few months. Though hard at times, we have to trust that God knows what is best for us and must remember all of the truths of God's promises, even when it is hard to see any good. 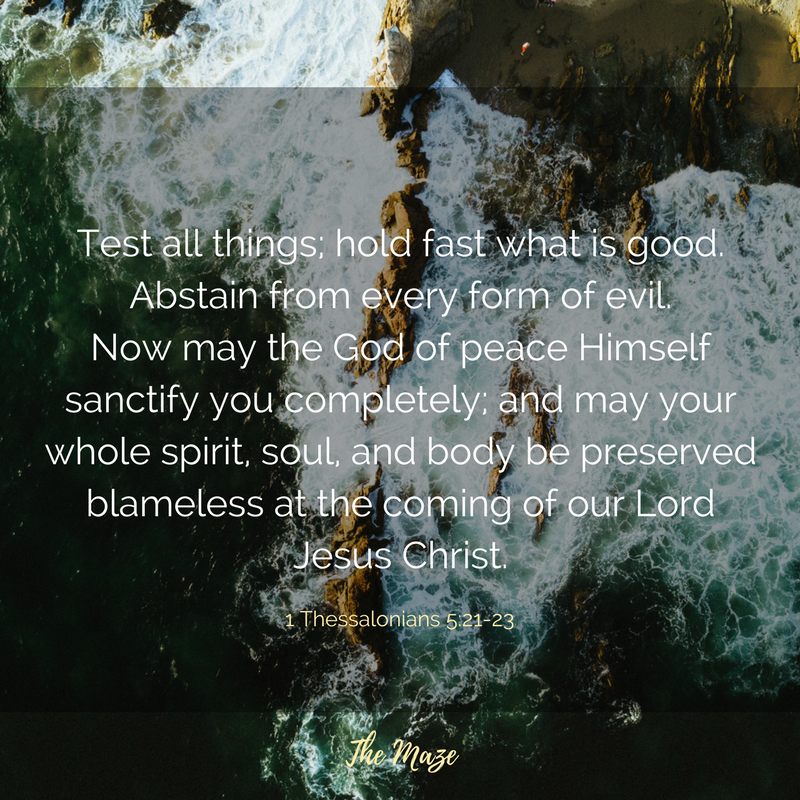 Although hard times will come and our faith will be tested, our dependence on God - continuing in the things we know have have been assured of about God's truth, holiness and salvation from our infancy in Christ, will sustain and keep us in perfect peace. "Blessed is the manwho walks not in the counsel of the ungodly, Nor stands in the path of sinners, Nor sits in the seat of the scornful: But his delight is in the law of the Lord, and in His law he meditates day and night." God is our firm foundation, and the Word of God, by aid of the Holy Spirit, teaches us the ways in which to live our life. Our guiding principles and morals shouldn't be found in whatever is passing through this world. 3.Time is fleeting (Ecclesiastes 12:4-5): When you think about our lives in the grand scheme of things, our time on earth is very minute compared to all of eternity. The friend, family member or neighbor that we've witnessed to will one day stand before a Holy God and give an account of every work - good or evil - and face a judgment (Ecclesiastes 12:14). For Christians, this would be loss of rewards; however, for the unbeliever, this means eternity without God. I don't know about you, but I couldn't live with myself on earth knowing that I hadn't done all that I could to share the Gospel with those closest to me. Remembering God now - His promises, truth and sovereignty - provides peace beyond all understanding and will guard our hearts and minds. Trust in Him, and He will keep you.